The Iditarod is the “Last Great Race.” We must remember the history and journeys of this last great race. 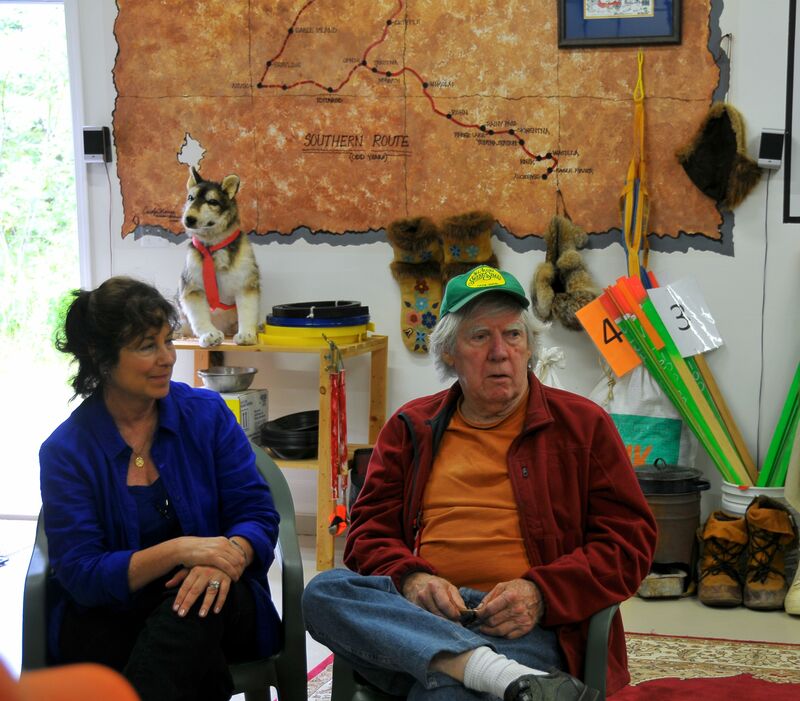 Today we had the pleasure of listening to Joe May, 4-time Iditarod finisher and 1980 Iditarod champion. This man is incredible and shared many exciting stories with us. One aspect of the race that Joe is adamant about is saving the history of the race. As a matter of fact, Joe and many others associated with the Iditarod are compiling a book about the history of the race. There is so much history in this race that they are including the best of the best. The project has been ongoing for about four and a half years and is scheduled to be finished in December. The title of the book is, Iditarod: The first 10 years. An Anthology. Since this race started in 1973, it has evolved tremendously. Technology and money has really become a big part of the race. Joe stated today, “that when a new idea comes along, you have to throw out the old one.” However, he did mention that it is important to preserve the history. Early on when the race started, many mushers, including Joe, decided to do the race as an adventure. These early mushers knew how to make their own trail, were exceptional at training their dogs, and knew how to survive out on the trail. Working with dogs years ago, mushers didn’t have the large kennels that they have today. Joe had just enough dogs to run a team, 12-13. He paid very close attention to these dogs. He had their discipline under the utmost control. As a trapper, Joe would have to leave his team to check the line, so when he said “stay,” those dogs had to stay. Back then, mushers did not have a run/rest schedule when running their dogs. The mushers would run their dogs until the dogs told them they were tired or it was time to eat. Their dogs were always enthusiastic about running. Joe changed later to having a run/rest schedule. This allowed his dogs to always stay fresh. You don’t want to run your dogs until they are tired, you want to stop running them before they get tired. Not only has the way mushers work with dogs changed, food has changed, for dog and human. In Joe’s first race in 1976, his sponsor’s wife packed him a sack for each checkpoint with a burger and a chocolate bar. Joe found that he became very hungry on the trail. Joe had 2000 pounds of beaver meat sent out on the trail for his dogs. Today mushers use a mixture of dry dog food, meat, fish, water to feed their dogs. People have done intense research on the amount of calories a dog burns on the trail and what type of food will work best. A dog burns approximately 10,000 calories on the trail. What the dogs sleep on has evolved since the start. In the early races the dogs slept directly on the ice or snow. This caused the dogs to lose a lot of the calories they consumed and caused them to tire sooner. Think about what you would be doing if sleeping on ice or snow; shivering, losing calories. Some mushers started using spruce bows, this saved calories in the dogs. However, you couldn’t find spruce bows everywhere and it took a lot of time to gather. In 1979, Joe had sandbags, perhaps more lie a sand mat, shipped to each checkpoint. He used one for each dog to sleep on. A couple of years later someone started using straw. After that, Iditarod starting shipping straw to each checkpoint for the mushers. Joe believes this was the most significant game changer in the race. The trail has changed. In the beginning, there were no trail markers. Mushers had to find their way. There were many times when mushers got lost or found themselves turned around. Today there are about 20,000 trail markers used in this 1000 mile race. Eventually, GPS trackers were added. These were a positive addition for the public. 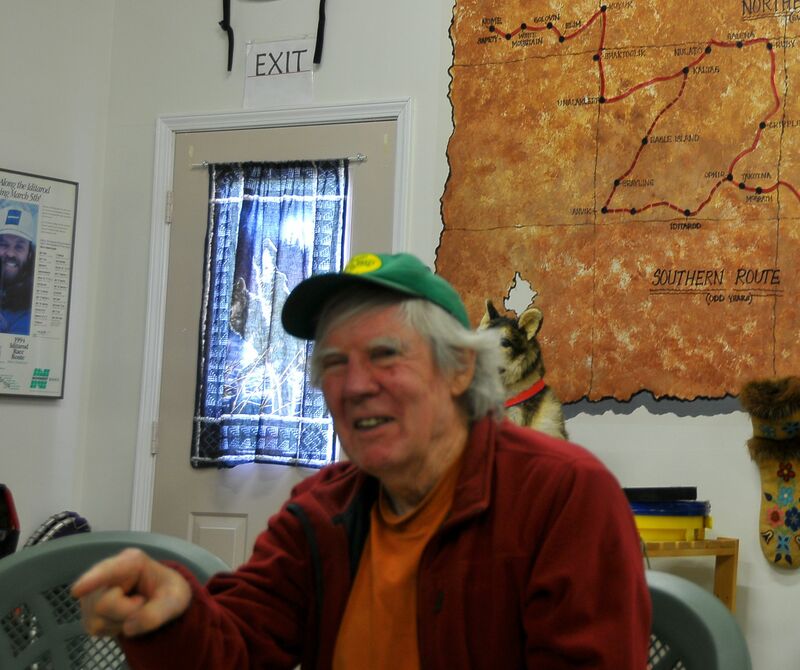 Joe said that early on in the race mushers took a responsibility for their own life in the Iditarod, it was a risk. Today, there is almost this expectation that someone will help or save you. Everything changes, that is part of life. Everything also has a history. It is crucial that we preserve our history so that it is not lost. Remember others’ journeys. Without their journeys we may not have the opportunity to take our own journey.